It was an offensive clinic at the Dalplex over the weekend as the men’s volleyball team soundly defeated the Memorial Sea-Hawks, winning six straight sets. The visitors from St. John’s were outmatched by their Dalhousie counterparts Saturday evening, who held them to 15 points or less in three sets. The diversity of Dal’s attack was on full display, with six players registering four kills or more and setting stats split nearly even between starter Jonathan MacDonald and reserve Robert Johnson. Sunday’s match started off in a similar fashion, with the Tigers jumping to a 16-8 lead. However, the Sea-Hawks began to chip away at the lead, eventually going on a six point run while facing game point. The match concluded on a kill from rising second year star Glenn Lassaline, and the offence was in full swing for the rest of the match. Nearly every ball played over the net was an attacking hit as Dal put over very few free balls. At the centre of the offensive machine was MacDonald, who had 26 assists and deftly directed the team’s high-octane surge. 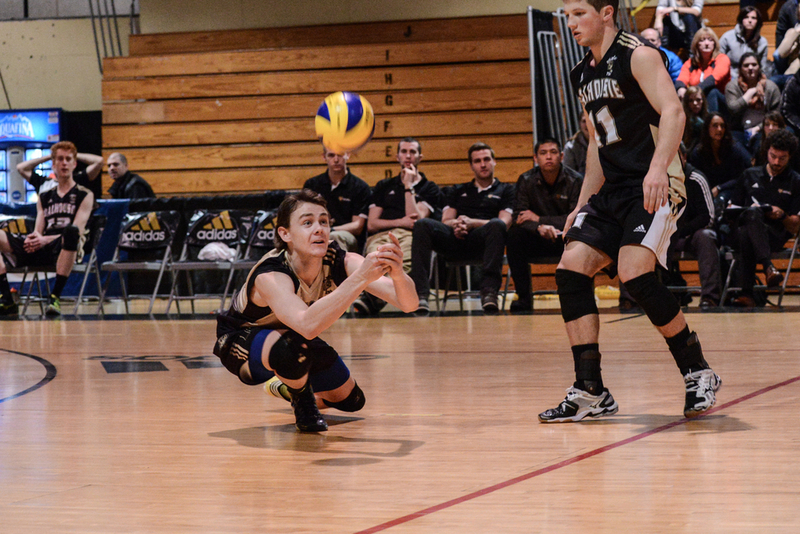 Lassaline continued his strong performance, as he and fellow outside hitter Kristen O’Brien each had seven kills. Middle Connor Maessen had seven aces and Adam Sanderson came off the bench for 10 digs. The Tigers maintained their stranglehold over Memorial to win the next two sets 25-10 and 25-12. Additionally, Dal landed 29 aces against the Sea-Hawks, who have yet to register a win this season. Up next, the team will head to the AUS-RSEQ interlock in Sherbrooke, Quebec on Jan. 17 before finishing their AUS season in February.